Faves: Kids Educational Websites | Pi'ikea St. Kids educational websites are all over the internet – so many it can almost be overwhelming to find great kids learning websites that are both engaging and resourceful. Whether the kids are out of school on break, or your children are home schooled, there are many resources for them to continue and supplement their learning. We’ve pulled together a few of the most talked about (and some of our favorite) kids educational websites for you to give a try. A collection of free, printable worksheets appropriate for preschool and kindergarten-aged kids. With these worksheets, kids will learn to recognize letters and numbers, shapes and colors. They will also begin learning basic math and phonics. A variety of educational activities and teaching ideas. This website has everything from a collection of coloring sheets from kids’ favorite books to number and alphabet worksheets. For parents or teachers, the site also includes bulletin board ideas. 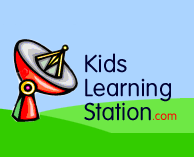 A wealth of educational resources for kids of all ages. Enchanted learning includes worksheets, activities and even printable books. With printouts from Enchanted Learning, kids can practice their Spanish, learn about different flags from around the world, learn music, study astronomy, inventors, animals and nature. Space-centered activities for the budding astronaut. NASA Kids’ Club is an interactive, engaging, kid-friendly website where kids can explore space and even browse real pictures of earth taken from space! Computer savvy kids will love NASA Kids’ Club. Younger kids can enjoy the space activities as well, with the help of a parent. For the hands-on learners, Science Kids is packed full of experiments, activities, games and scientific facts for elementary-aged kids the Experiments section, Science Kids features easy-to-follow instructions for at-home or . In classroom science experiments. With the mission to “motivate young children to read,” RIF provides literacy-based games and activities for kids through 15. With Reading is Fundamental, younger kids will learn to love reading, while older kids will learn to be not only great readers, but great writers as well. Kids can even enter writing contests in the free Reading Planet Club. Know of any other great kids learning websites? Let us know in the comments below, or share with us on Twitter or Facebook! We look forward to talking with you!